Hillhead 2018 will see Sandvik Mining and Rock Technology Mobile Crushers and Screens highlight the total solutions nature of its world-leading equipment ranges. This year will see the launch of new products and services, new digital solutions, as well as live demonstrations in front of the stand. 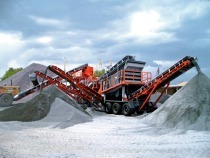 The Sandvik range of mobile crushing and screening equipment provides solutions for virtually any application, and encompasses such diverse businesses areas as surface rock quarrying, excavation, demolition, recycling and civil engineering. 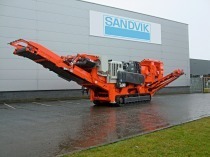 The all-encompassing range has provided customers across the world with the very latest developments whether working independently, or in conjunction with other equipment from Sandvik’s offering. 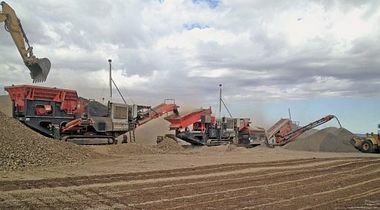 As well as mobile crushing and screening equipment, Sandvik Mining and Rock Technology produces ranges of underground excavation and mining equipment, rock tools, drilling rigs, breakers, tunnelling equipment, stationary crushing and screening machinery and bulk-materials handling systems. 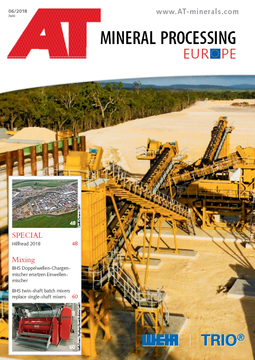 Equipment purpose developed to deal with virtually any mining, quarrying or construction application. In order to provide visitors to the stand with an insight into what makes the new QH332 with double-deck hanging screen such a major development in cone crushing, the very latest digital technology will be used to showcase its innovative features. This will take the form of a ‘virtual reality’ presentation and walk through. 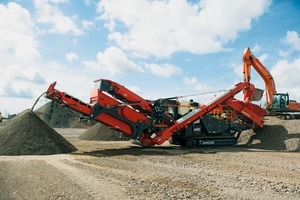 Furthermore Sandvik will also show how it has used the very latest technology to help its customers get the very best from their investment, with the launch of Sandvik My Fleet. This is a fleet management tool which provides critical data on GPS location and machine utilization. The remote monitoring system enables customers to optimize their machine operation and work more efficiently through accessing a functional portal interface.